This week, I've been reading Cait Flanders' audiobook The Year of Less, and wow, has it given me some food for thought. As I prepare to head back to China next week, I am dreading having to cram all the new things I bought--six new dresses, two tunics, five short skirts, two maxi skirts, two pairs of yoga pants, two pairs of leggings, eleven t-shirts, three bras, ten pairs of underwear, twelve pairs of socks, some furry gloves, three cardigans, two pairs of shoes, two belts, a turtle stretch ring, three FitBit Versa bands, a sunhat, six pots of Punky Color, a tube of body lotion, and a year's supply of contact lenses--into a 27" suitcase. All this is in addition to a few outfits I packed from home for this trip. Space bags help tremendously, but even space bags won't resolve the issue because of American Airlines' 50-pound limit for international luggage. I'm not quite sure it can be done, to be honest, and I hope hope hope I don't have to go out and buy a second suitcase to lug all this home. I traveled with two large, heavy suitcases four years ago when we first moved to China, and it sucked so much that I vowed to always travel with only one suitcase. Clearly, my OverDrive hold on The Year of Less came available to me at the perfect time. After binge-shopping for the past five weeks, is it really any surprise to me that I've amassed so much "stuff" in such a short time? This is my fourth summertime USA shopping binge, so I'm not at all surprised I've once again gone way overboard. Last summer, we bought so much that we also had to ship two large moving boxes back to Shanghai. 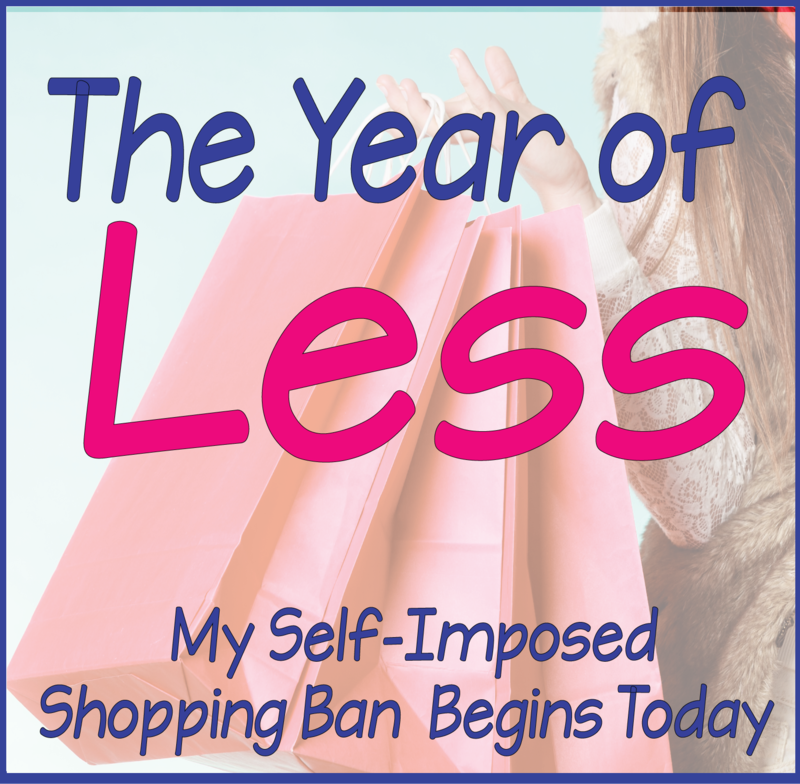 So starting today, I am officially on Day 1 of my shopping ban! I designed my ban based on ideas from a documentary on Netflix called Minimalists, combined with Flanders' audiobook and a few minimalist blogs. Right now, I'm feeling pretty confident in my ability to pull all this off easily, but I am sure I will encounter plenty of challenges. My goal is to post about how it's going each week. Cait Flanders recommends writing down some rules of what kind of purchasing is and is not allowed, so that will be the focus of my next post. Game on! LOL! They are cute, aren't they? If you mean the purple and black dresses, I got them from Amazon: https://amzn.to/2OdoMdI. I also have the solid black and royal blue ones at home. I need this Leigh! 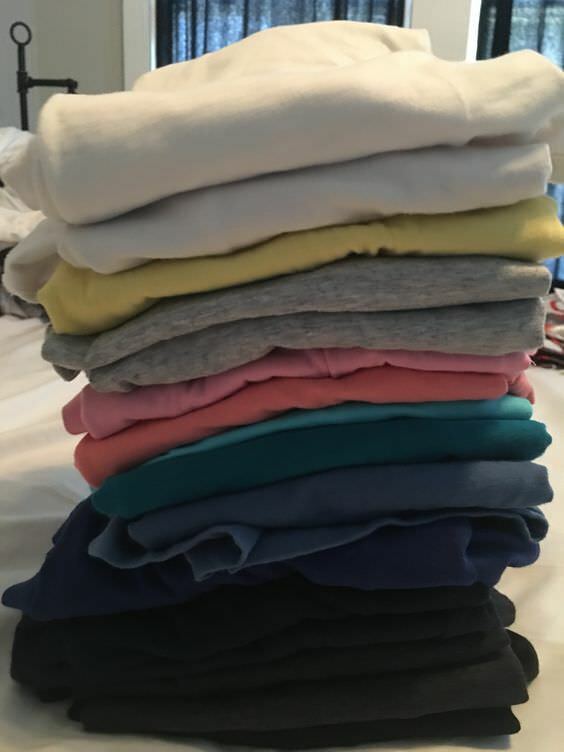 I’m about to move from a 1100 sq ft apartment to a 700 sq ft house so I need to pair down tons and stop buying. Right now buying clothes is killing me (as my laptop is on the sale page of Lane Bryant lol ... but it’s real women dollar days!!!). I’m going to watch the documentary right now and put that book on hold. Thanks, friend! Go for it, Zee! We've got this!